Karim, Firoozeh Kashani-Sabet, Marjan Kamali, and Anita Amirrezvani. | Persis Karim, Ph.D.Persis Karim, Ph.D.
Karim, Firoozeh Kashani-Sabet, Marjan Kamali, and Anita Amirrezvani. 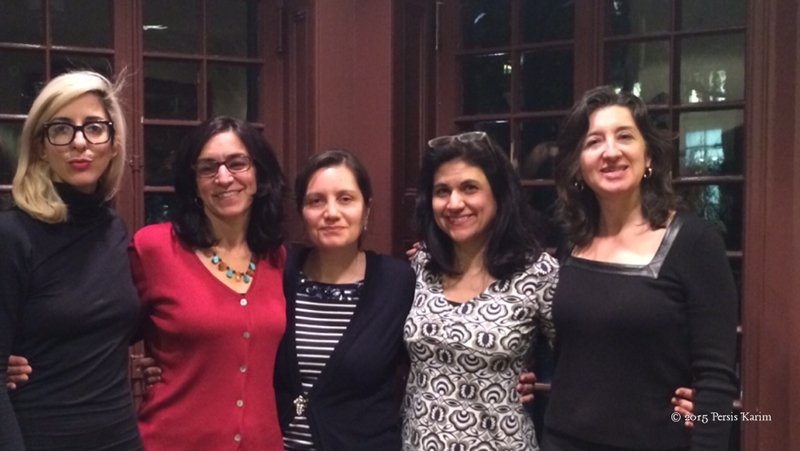 With Iranian-American writers (l to r) at the Kelly Writers House at the University of Pennsylvania, March 2014: Porochista Khakpour, Persis Karim, Firoozeh Kashani-Sabet, Marjan Kamali, and Anita Amirrezvani. Published January 4, 2015 at 800 × 451 in Photo Gallery.